Obituary – Andrews, Roger Roland « Perry High School Alumni Association, Inc.
﻿Roger Roland Stillwater resident Roger Roland Andrews, 70, died Thursday, Nov. 29, 2001, at Stillwater Medical Center. Services were at 2 p.m. Monday, Dec. 3, 2001 at the Strode Funeral Home Chapel. Pastor Wayne Hardy officiated, and interment followed at Fairlawn Cemetery in Stillwater. Services were under the direction of Strode Funeral Home. Roger was born March 12, 1931, in Braman, OK, to Arthur and Lavina (Holt) Andrews. He attended Perry schools, where he was captain of the football team and was scouted by several colleges. He was a member of the 45th Division of the National Guard, and during his junior year they were mobilized for the Korean Conflict. He later returned home to Stillwater with an honorable discharge. Roger married Pansy White at the First Christian Church in Tulsa, OK, on August 16, 1952. 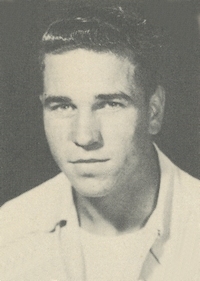 He also attended Stillwater High School, from which he graduated in 1953. Roger worked part time at the White Way Cleaners and then started painting. He went to work for many of the local painting companies and then later for himself. He was an avid football fan and loved to be with his grandchildren and his family. Roger was a member of Bible Baptist Church. 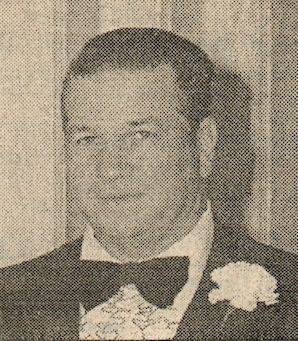 He is predeceased by his parents and one brother, Norman Andrews. He is survived by his wife of the home; three daughters, Cindy Paddock of Stillwater, Cathy Pate and her husband Steve of Maramec, OK, and Christy Andrews of Stillwater; six grandchildren, Angela Paddock of Tulsa, Roger Paddock of Tulsa, Randy Paddock of Stillwater, Shane Pate of Stillwater, Lindsay Collier of Maramec, and Tyler Pate of Maramec; one great grandchild, Justus Paddock of Stillwater; two brothers, Duane Andrews of Perry and Frank Andrews of Stillwater; and one sister, Susan Rennick of Midwest City. Memorial contributions may be made to Bible Baptist Church Bus Ministry, P.O. Box 1985, Stillwater, OK 74076.